Suratgarh is a city and a municipality in Ganganagar district in the Indian state of Rajasthan. Akashwani Suratgarh broadcasts on 918 kHz with a 300 kw radio transmitter. It has been given the name "Cotton city channel". 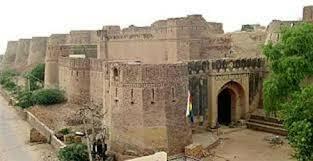 Suratgarh was a significant arena of historical incidences in the ancient past. The city was once called Sodal. Around 3000 BC Suratgarh is believed to have been a lush, green place due to the presence of two big rivers, Sarasvati and Drishadvati. Present sand possessed various botanical and zoological species within the basins of chaste Sarasvati and Drishvati. The emergence of Kalibangan and Barod civilizations were facilitated by the geographical and environmental complements of the Sarasvati, and Suratgarh was a noteworthy testimony of this. The traces of ancient civilization near Rangmahal, Manaksaar and Amarpura show the historical significance of Suratgarh where Sarasvati civilization has receded after 1500 years of stability. 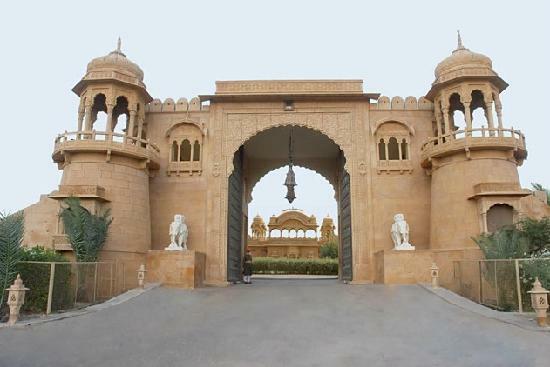 Suratgarh developed greatly under the rule of Maharaja Ganga Singh who built a hunting lodge at Suratgarh and ensured the connectivity of Suratgarh to train service. Hanumangarh and Bikaner came under the Suratgarh District when the district was established. Establishment of the Ganges canal in 1927 helped Suratgarh develop; it became a city after partition when various refugees from Pakistan came in and started settling there. Suratgarh Central State Farm was established in 1956, followed with the establishment of the Indira Gandhi Canal project and Central Animal Reproduction Farm in the 1960s. Meanwhile an air and military base station, Akashvani and various offices had been established. Suratgarh Thermal Power Station started working from 3 November 1998 and this laid down one more milestone in the progress of Suratgarh city. It has a thermal power plant of 1500 MW and a PLF of 93%, which has won an award for one of the best-operated plants in India. The industry experienced acute growth with the construction of the thermal power plant and its residential buildings. Since then the industry has been growing quickly. With the reducing demands as a result of completion of the thermal power plant project, bricks from Suratgarh are now supplied to various parts of Rajasthan especially to the districts of Churu and Jhunjhunu. MS: I passed out in 2012. MS: I did my BBA (finance) from Govt. BBA College Kuokala, Ahmedabad. and am now doing LLM ( Masters in Law) from JNV University, Jodhpur. MS: I am doing MBA (finance and marketing) from Amrut Mody College of Management, Ahmedabad. MS: I participated in many Sports event and won medals and certificates. MS: Jayita Ma’am, Ruchika Ma’am and Parineeta Ma’am. ED: Do you remember any of your batch mates? MS: My batch mates were Shilpa, Raveena, Poornima, Sonia and Suresh. MS: I have countless memories of the school. 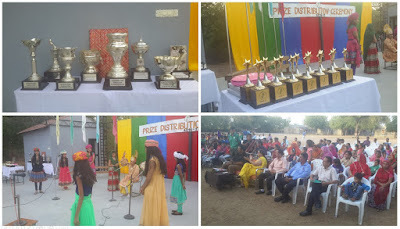 I remember twice anchoring the Annual Prize Distribution Function and organizing Fresher’s Day for 11th Std. I remember our School Trip to Dehradun, Mussoriee and Himachal. I remember our trekking to Kumbalgarh. It was fun. MS: A School gives a student a launch pad where one can decide when he/ she wants to land. School like Fabindia gives perfect guidance, culture and exposure to bring one’s talent out and most important is Knowledge. I’m very grateful for being a part of it. I’m proud to be called a Fabindian. I will always remember the school and miss it a lot. 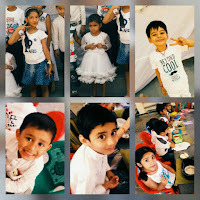 KDI: I joined the school on 5th September 2012. KDI: The environment was very good and cool. KDI: I taught L.K.G. at first. KDI: Some of them are in contact with me. KDI: Each student should do hard work to achieve something in future and also be a good citizen. KDI: I didn’t teach in any school, Fabindia was my first school. KDI: Students should work hard to become successful. Day by day weather is becoming increasingly hot. Temperature has increased by 2°C. The sun is shining bright all through the day. It has become difficult to go out during the afternoons. Students prefer to play indoor games due to the hot weather. Highest temperature recorded was at 41°C and lowest at 24°C. Humidity has dropped to 13% and the wind blew at 14km/hr. Seeing the hot weather, school timings have been changed to 7.30AM to 12.45 PM from Saturday, 22nd April. Without it we are not fine. And save it for your pleasure. And save yourself from being lost. 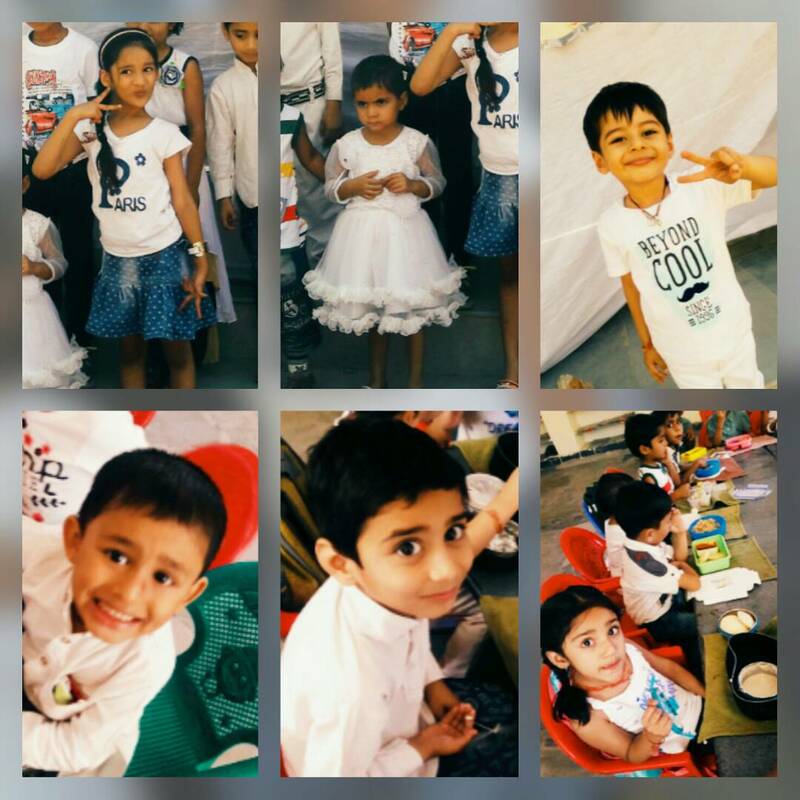 Friday, 21st April: White Day was organized for the students of Pre-Primary Section. 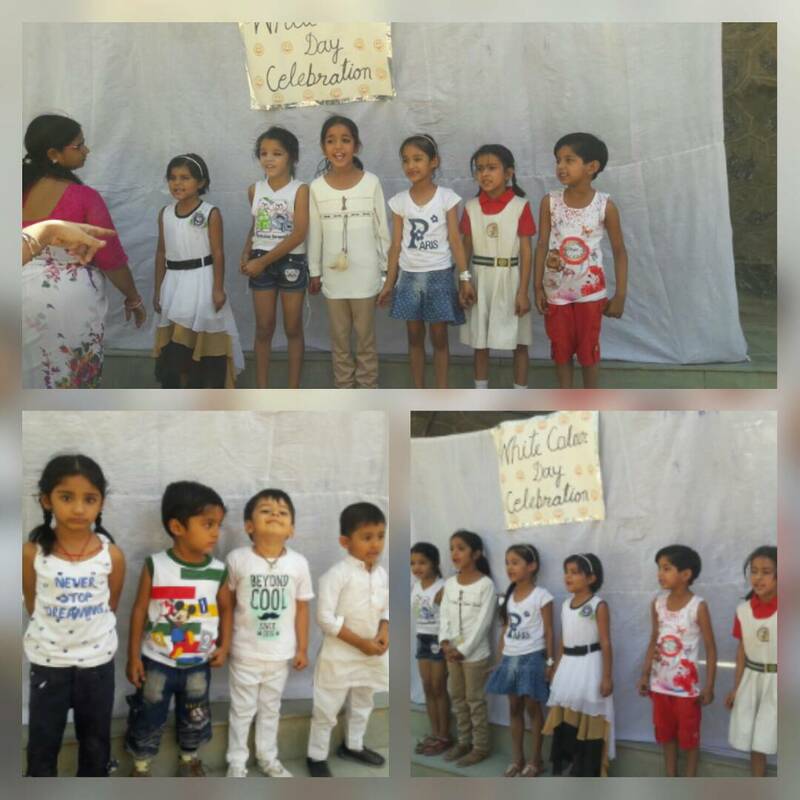 Both Teachers and Students were dressed in white. A number of activities were conducted for the students. 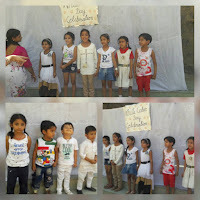 They recited poems based on the colour white and played a number of games. They brought white colour fruit, vegetable to eat. They enjoyed a lot. 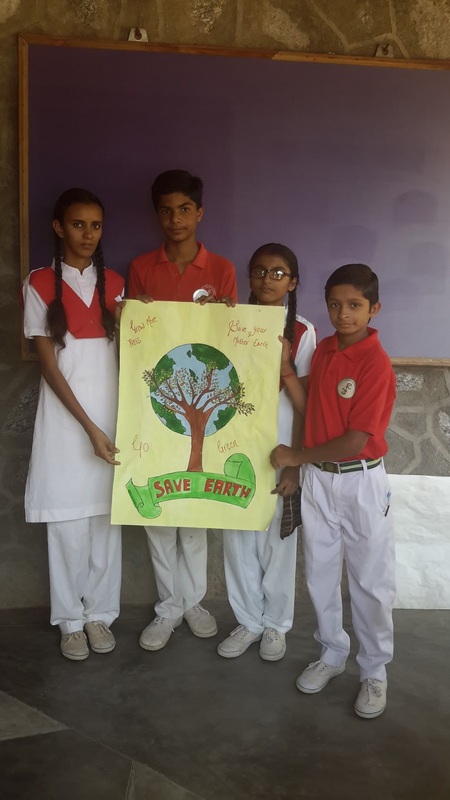 Saturday, 22nd April: On the occasion of World Earth Day Students were given message to save earth and stop pollution. School started its first step by saving electricity. They switched off their electrical devices and sat in this heat without fans for two hours. 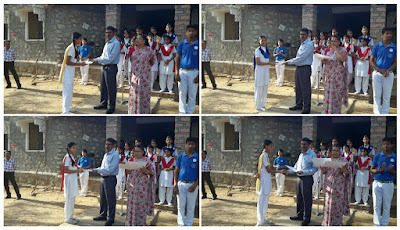 Inter House Poster Making Competition was organized for the students of Class VIII- XI on this occasion. There were four participants from each house. 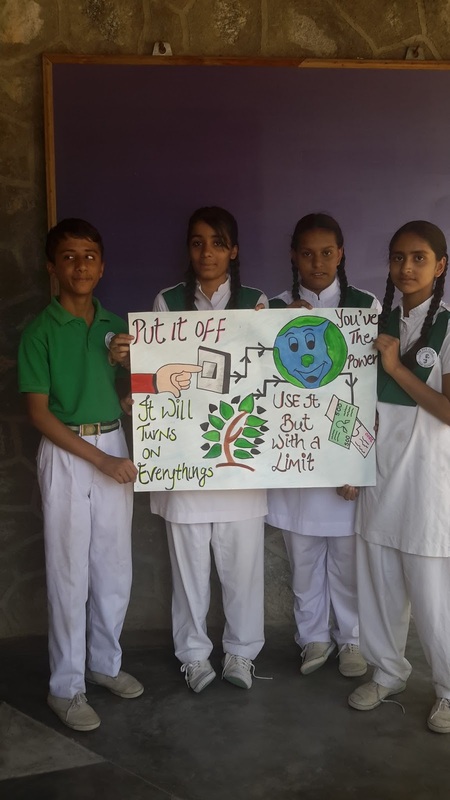 The theme of the competition was Save Environment- Save Power. Students put in their artistic talent and made beautiful posters. Mr. Parth Guin was the judge of the competition. Friday, 14th April: Ten girls escorted by Mr Tarun Mishra and Mrs Urmila Rathore went to Heritage Girl's School, Udaipur to participate in the Under 16 Inter School Women’s Cricket Tournament. Five schools participated in the tournament. They played three matches. They won one match against "The Study, Udaipur" and lost two matches so unfortunately they did not reach the finals. They were awarded certificates of participation. 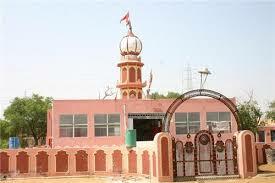 Mehandipur Balaji Mandir is a noted Hindu temple, mandir in Dausa district of Rajasthan, dedicated to the Hindu God Hanuman. The name Balaji is applied to Shri Hanuman in several parts of India because the childhood (Bala in Hindi or Sanskrit) form of the Lord is especially celebrated there. The temple is dedicated to Balaji (another name for Shree Hanuman Ji). Unlike similar religious sites it is located in a town rather than the countryside. Its reputation for ritualistic healing and exorcism of evil spirits attracts many pilgrims from Rajasthan and elsewhere. The old village Mehandipur is located nearby the small hill. The temple of Balaji built in mehandipur is very famous especially in northern part of India. 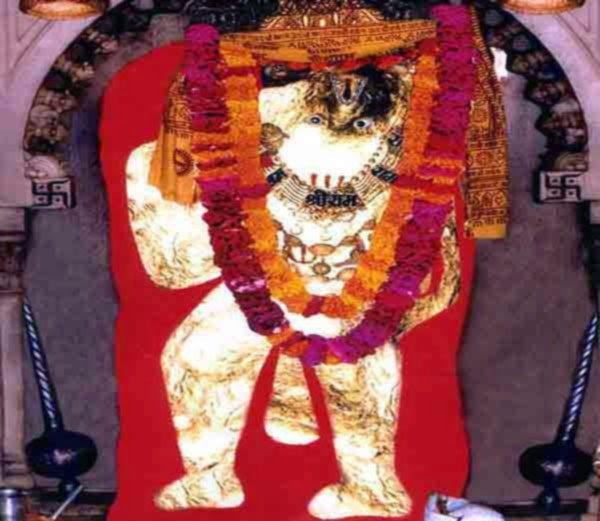 Saturday and Tuesday are the busiest day in temple because these both are the days of hanumanji. 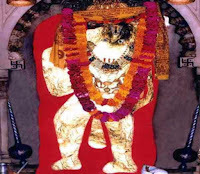 Some other temples near by are anjani mata temple, kali mata at teen pahad, panchmukhi hanumanji, ganeshji temple at saat pahad, samadhi wale baba are some important temples in the mehandipur balaji. The temple has been known for many years, for exorcism from evil spirits attachments and black magic or spells. In 2013, an international team of scientist, scholars and psychiatrists from Germany, Netherlands, AIIMS, New Delhi, and University of Delhi started a study to evaluate all aspects of treatment and rituals at the temple. Darshan Vaishnav (Batch 2008-2009) secured around 92% in Class X. He took up Science Math and finished his Class XII from KLPS. Then he went to Jaipur for IIT Coaching. After his coaching he appeared for Engineering Examinations. 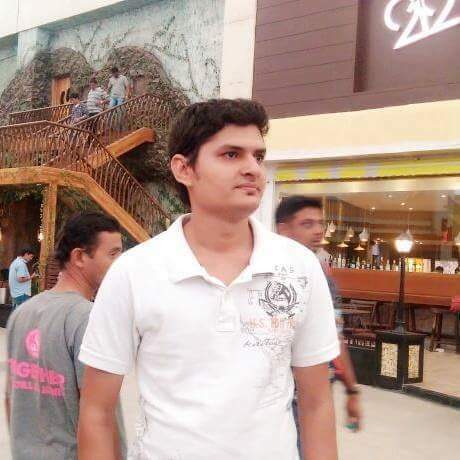 He got through it and did his Software engineering from Pune. 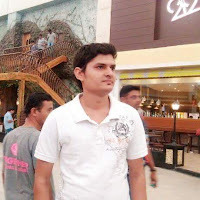 Nowadays he is doing his Software Developers Intern from Build Traders, Bengaluru. He was always good in Academics and secured first position in Class. May God bless him and may he be successful in life. VKR: My qualifications are BPEd MPEd from Gwalior (MP). Ed: How do you feel being here? VKR:Vit: I am very happy to be a part of this reputed school. Ed: What type of environment do you get in the school? VKR: The environment of the school is very peaceful and a nice place for education which helps the students as well as teachers to be a part of this kind of environment. Ed: Where were you before joining the school? VKR: I taught for one year at Sagar Public School, Bhopal as a Physical Education Teacher and Judo Coach. Ed: Why did you think of joining the school and resigning from Sportify? VKR: From one year I felt that I was not able to give my best as a Sportify teacher due to some terms and conditions. So I joined this school as a regular teacher to teach actually what I wanted to do. VKR: My message for students is to work hard, and achieve their goals. Staff wishes a ‘Happy Birthday’ to Partha Guin. May God bless him! School welcomes Mr. Vineet Kumar Singh as our new Physical Education teacher. School wishes him a rewarding time with us! School welcomes Mr. Gajendra Singh as our Staff IT Incharge. School wishes him all the best. 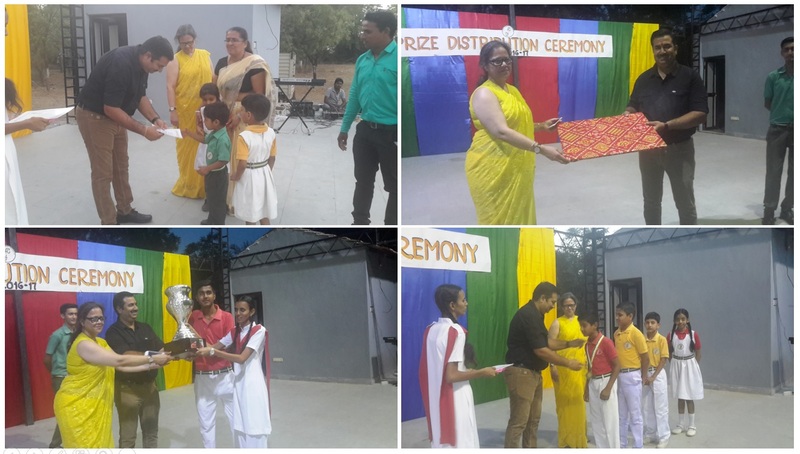 Saturday, 8th April: The Fabindia School held its third prestigious Investiture Ceremony on 8th April with great enthusiasm and pride. The Investiture Ceremony marked a significant beginning of the new Academic Session 2017-18. It was a solemn occasion where the young students were all prepared to don the mantle of leadership and discharge the responsibilities entrusted to them by the school. The Ceremony began at 7.45 AM. Mr. Sandeep Dutt, Chairman BAT had kindly consented to honour us as the Chief Guest for the occasion. He was escorted by Principal Ms. Deepika Tandon, Mr. Byju Joseph, Mr. Ajay Vijaywargi, Maharaj Singh and Koshik Soni, to the OAT where the ceremony was to be held. 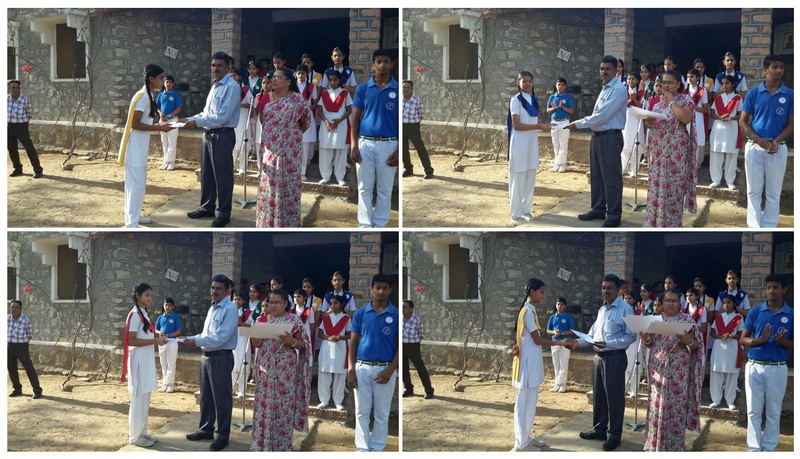 After the Assembly the Principal declared the inception of the Investiture Ceremony. After it the Oath Ceremony of the Student Council took place. Their names were announced by the Principal. Each student marched smartly to the stage with her/his respective School/House Flag to take the Oath. The Students Council willingly and positively promised to do their best to represent school. 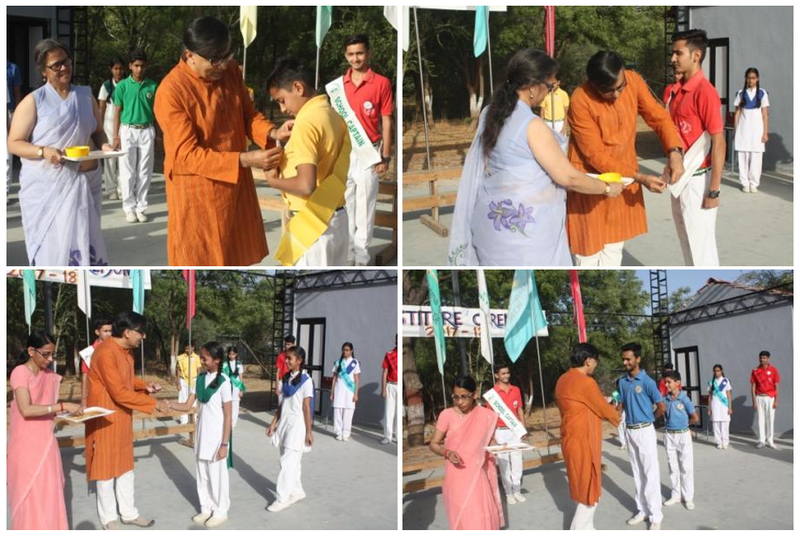 After the Oath Ceremony the Chief Guest presented the Student’s Council with sashes and badges. The Secretary and Joint Secretary of the Clubs and Societies were also presented with badges. The Investiture Ceremony concluded with lot of hope and aspirations for our future leaders. It was a memorable occasion for the young leaders as they looked forward to a new and enriching Academic Session. The event was a great success with the participation of all students, teachers and admin staff; without whom it would have not been so impactful. After the Investiture Ceremony students went about their regular routine of an activity Saturday. Monday, 3rd April: Result of the Academic Year 2016-17 was announced that day. PTM (Parent Teacher Meeting) was organized for Nursery to IX & XI. About 99% Parents attended the meeting. Majority of them were satisfied with their ward’s performance. Wednesday, 5th April: After two weeks the School was abuzz again with students life. All students went to their new classes and the Book Store was crowded with parents to buy new books and uniform.